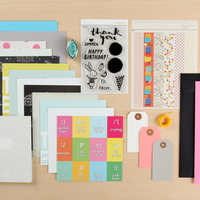 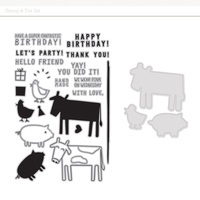 How adorable is the Party Animal stamp set? 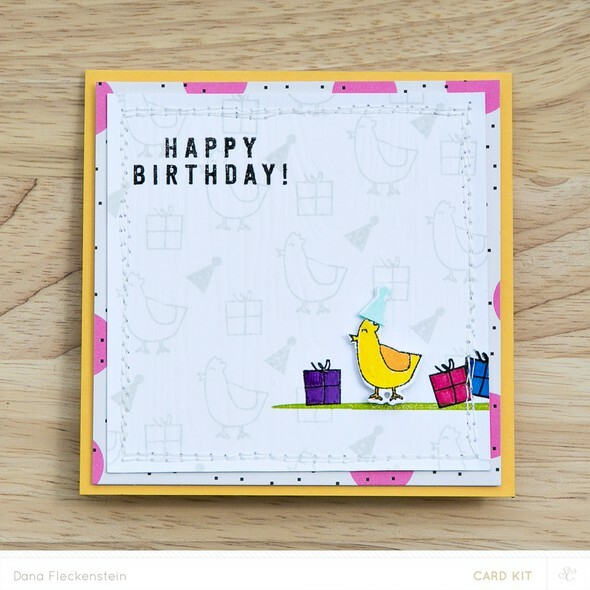 I was particularly fond of that party chick and stamped onto one a coordinating die-cut. 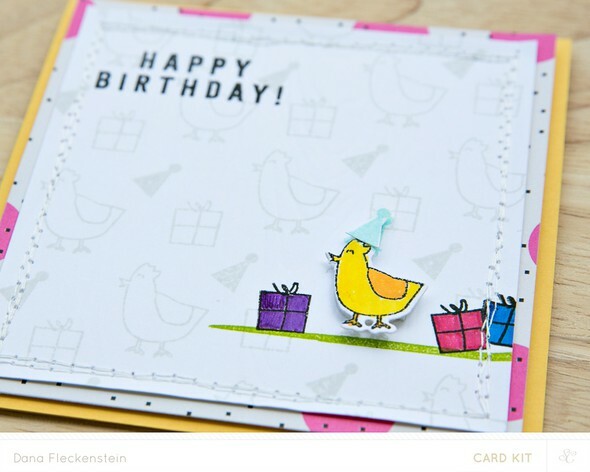 Together with the chicken outline, present outline and party hat, I stamped my background and proceeded to create a scene around the die cut chicken. 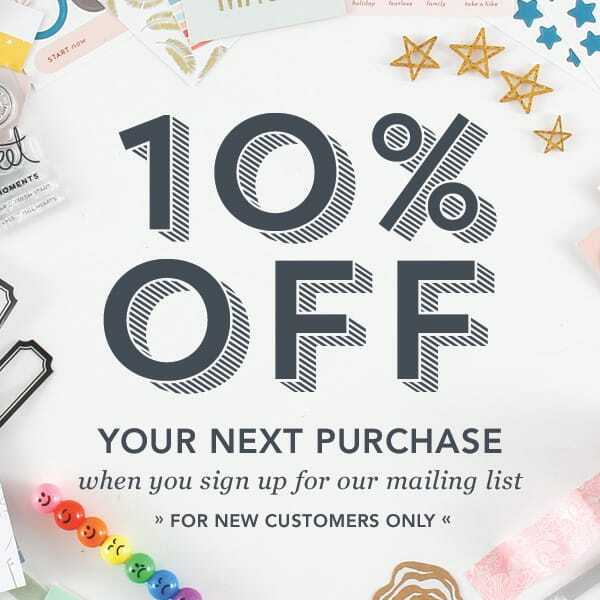 Lastly, I stamped the sentiment in contrasting black and layered everything together with a square piece of patterned paper on the card base.